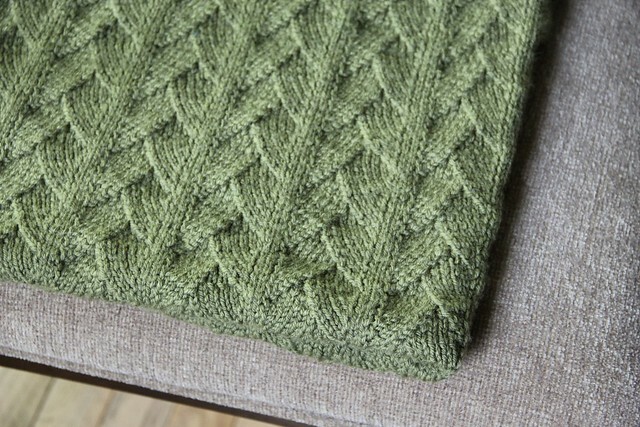 I’m excited to announce that as of today, I have a new pattern on Ravelry: Raishan. 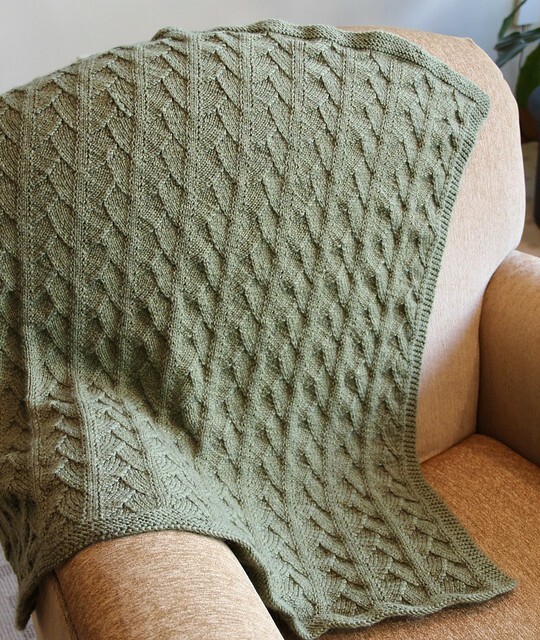 Raishan is a baby blanket with a stitch pattern that resembles dragon scales. It is the perfect gift for a new young prince or princess ready for fairy tale adventures with castles and dragons. I was inspired to knit this design because some dear friends of ours are having a special little someone in the next couple of months. They elected not to find out the gender before the birth, and chose to outfit the nursery in fairy tale castles and dragons. When they told me about the dragons I had grand ideas of dragon scales. While I mulled over and tested many stitch patterns, ultimately I settled on a Dragon Skin lace pattern from the Barbara Walker Treasuries, my knitting bibles. I did some swatching, and added garter borders and had a blanket I loved. 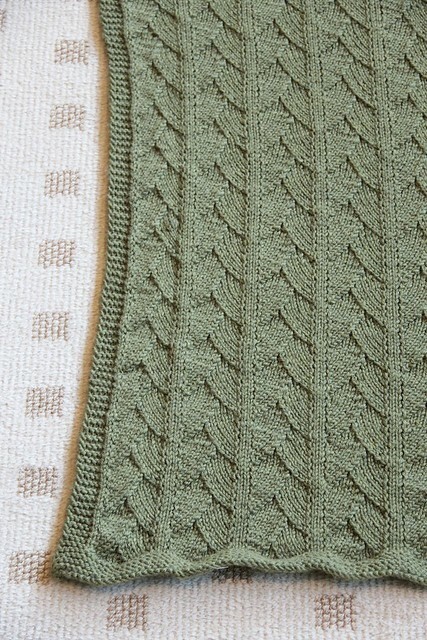 I chose Cascade 220 Superwash in colorway 1919, Turtle, for the yarn. I specifically selected Cascade 220 Superwash because I love how durable it is, especially for children’s items which will need frequent washing and easy care (by tired parents). I didn’t want this to be an heirloom blanket, but rather one that could be used on the floor, or over a car seat or stroller. I ended up wishing that the Turtle was a slightly brighter color, but I do think it was a good “dragon” green and will match the grey and green decor of the intended nursery. I named the pattern Raishan after the fierce green dragon of the Chroma Conclave in the popular Dungeons & Dragons game Critical Role. 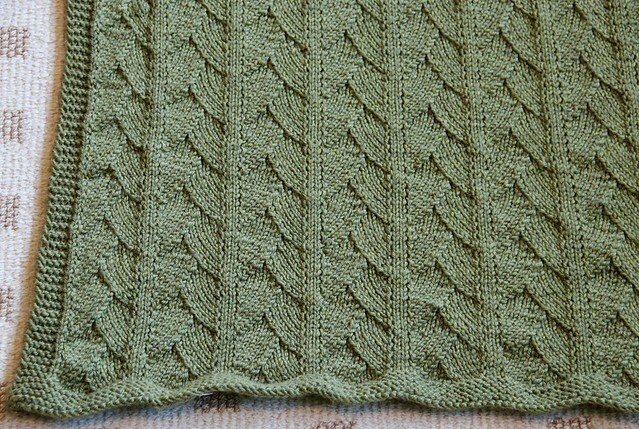 Raishan is now available on Ravelry for $5.00 and includes both written and charted instructions for the stitch pattern. Many thanks to Sarah Walworth for technical editing.